Networking is not only about sharing pictures, experience, or information. Instead, it creates more values for your career. Networking allows you to build long-term relationship with others, whether it is for personal or for professional purposes. Therefore, there are so many benefits of networking for your career. Whatever your profession is, networking is something you cannot miss. However, it does not mean that all of your friends on social media can help your career. An important question is “Who you network with?” Are they relevant to your career? Of course, you do not need to network with everyone. Rather, make sure to see how you can contribute to their success in career and how they can contribute to yours. 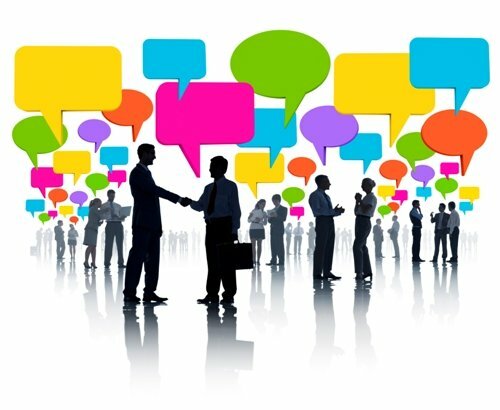 The following are some benefits of networking for your career. Networking for your career is about exchanging ideas – how you listen to others and how they listen to you. Success in your career is influenced by many factors, including ideas and information you have. Besides maintaining long-term relationships and mutual trust with others on social media, you can share ideas, tips and tricks, and experience on how to be successful in your career. You can get best practices from others, while others can also learn something from yours. Do you work for an industry, where recognition and publicity mean much? Artists, book writers, and politicians are examples of career where benefits of networking for your career are very significant. Networking allows you to seek popularity. People can easily recognize you when you offer something different on social media. When you stand out from the crowd, people can easily notice you. This also provides you with more rooms to build long-term partnerships with others. When people start recognizing you, many opportunities are open in front of you. You have more chances to build business partnerships. The avenue of newer opportunities is wider by means of networking. You can meet people, who can support your career and business. You can even meet individuals, who are superior to you in career development. Newer opportunities are like stepping stones for changes in your life. Do you think you are the best in your career? Networking allows you to learn more things related to your jobs. Other people probably know what you do not. By keeping learning, you can even achieve a higher level in your chosen career. The roadmap to a brighter future can be achieved only if you have good network and positive relationships with others. One of the benefits of networking for your career is improved self-confidence. The more people you deal with in your networks, the more confident you are. Networking involves training and education, which build your self-esteem and self-confidence. You can information, updates, and knowledge related to your chosen career. This process promotes self-esteem over time. Those are among the benefits of networking for your career. Of course, many other benefits are in front of you when you can build successful networks in your career. Do not miss them in the next post!